The annual growth of peach trees is relatively large, and the buds have a strong early maturation. The newly planted peach trees can germinate 3-4 times. Therefore, by using the characteristics of peach trees, under the premise of strengthening the management of fertilizers and waters, we can accelerate the formation of tree vigor through summer shears, transform the long leg branches into fruiting groups adapted to the skeletal branches, and promote the formation of flower buds to the same year. Shaped, two-year results, three-year high yield purpose. First, the summer time of the new planting peach trees in mid-June began to enter the fast-growing period. When the new shoots grow more than 60 cm, the first summer cut is performed. In the first half of July, the second summer cut is performed, and in the middle of August, the third summer cut is performed. Second, the summer shear method due to the peach tree needs strong light, the top of the advantages of large, short-lived bud life, such as the main branch is too straight and will cause the former Wang Hou, is not conducive to three-dimensional results. For example, if you do not control the Wang Wang on the skeleton, it will not only affect the light, disturb the shape of the tree, cause no distinction between the primary and secondary, but also be detrimental to flowering and rapidly expand the canopy. However, excessive pruning, leaving too few branches, especially in the summer trimming too late, some long-term competitive branches grow to the "trees in the tree" after a one-time treatment, will cause a serious weakening of tree vigor, resulting in the emergence of plastic injection. Therefore, summer shear must be reasonable. Third, the main content of summer cut 1. Topping (1) main branch topping. First, according to the requirements of the happy shape, according to the size of the plant spacing, reasonable main branch. In general, when the plant spacing is within 2 meters, two main branches can be selected to extend between rows (squatting); when the spacing is more than 2 meters, 3 main branches can be selected (the plane angle is 120) . In the 6th, 7th, and 8th months, new shoots of more than 10 cm in length were removed from each new shoot for 60 cm in length. To use the lateral branches to extend forward, turn left and right, and run water to extend forward, in order to facilitate the balanced results of the branches and branches, the three-dimensional results. (2) Side branch topping. When the plant spacing is greater than or equal to 4 meters, two major anticline lateral branches should be provided on each main branch. Generally, the first lateral branch is 40-50 cm from the middle, and the second lateral branch (opposite to the first lateral branch) is about 100 cm from the trunk. The method of topping is the same with the main branch, but the lateral branches left for the first time are outside the side branches. (3) Other branches topping. On both sides of the main lateral branch and on the back, Wangzhi can leave 5-10 cm of continuous topping to weaken the tree vigor, promote branching, promote flowering, and cultivate large and medium-sized fruit shoots. Moderate, flat and weak can be left unmoved, leaving its flowers, auxiliary tree. 2. After the main branches are selected, excessive branches on the main trunk should be removed as soon as possible, and the auxiliary trees can be kept flat and thin. However, it is not possible to demerit too much at one time, and it is not necessary to "dig" the main branch. 3. If the angle between the branch and the top branch is too small for the main branch, don't use the "back branch change head" method to open the angle, otherwise it will cause "the big tree cuts small, the small tree cuts off". It can be opened in the middle and late August (before and after the summer heat). If the angle of the main branch is too large, litchi should be used in time to promote balanced growth among the main branches. Ganoderma Extract (Ganoderma Lucidum extract/Reishi mushroom extract) is extracted from top-graded organic shell-broken Ganoderma Lucidum spore powder using advanced modern technology. 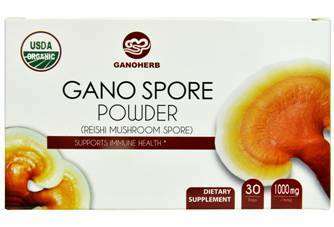 Spores are the seeds of Ganoderma Lucidum. When it matures, the spores are released from the mushroom cap. They are also where most of the nutrients of Ganoderma Lucidum are contained. 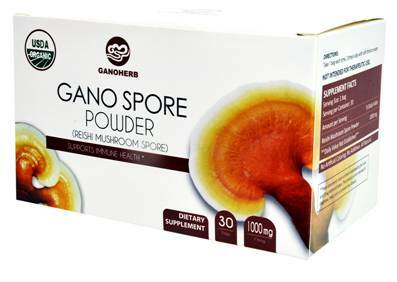 In order to allow the nutrients inside the spore powder to be fully absorbed by human body, we used a patented technology called low temperature physical shell-breaking technology to crack the cell wall of Ganoderma Lucidum spore powder. The Ganoderma we used for this product comes from our self-built organic Ganoderma farm at Mt. Wuyi. Both the farm and the GMP workshop have acquired organic certifications from 4 countries and regions including Chinese, Japan, the US, and the EU. We do not use any type of herbicide, pesticide, or chemical fertilizer during the whole cultivation process, delivering the best and safest product to our customers. By using extraction technology, we can increase the concentration of Ganoderma polysaccharides and triterpenes in the product. Reishi Mushroom Powder polysaccharides and triterpenes both work together to enhance humanâ€™s immune system, fighting against diseases and infections. Also, Ganoderma can help protect the liver, increase sleep quality as well as relive stress.